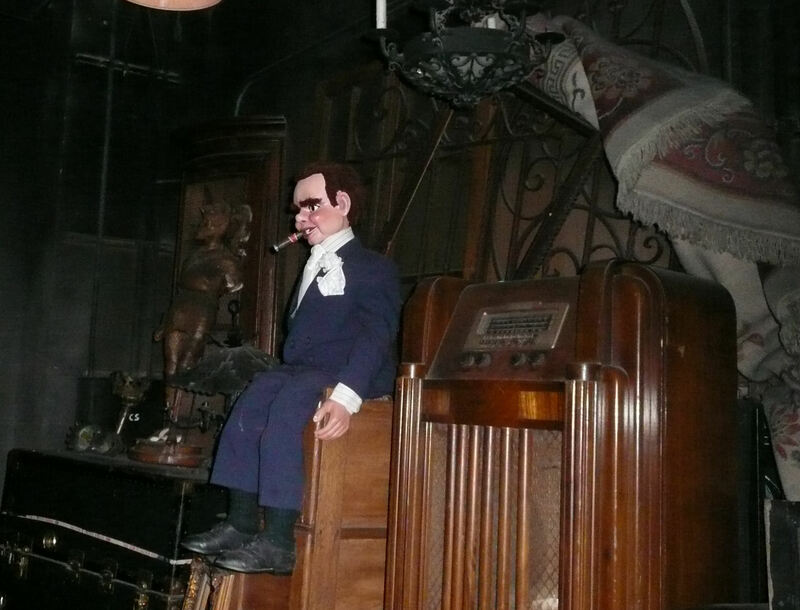 Inside the queue for Toy Story Midway Mania at Disney's Hollywood Studios; Mr. 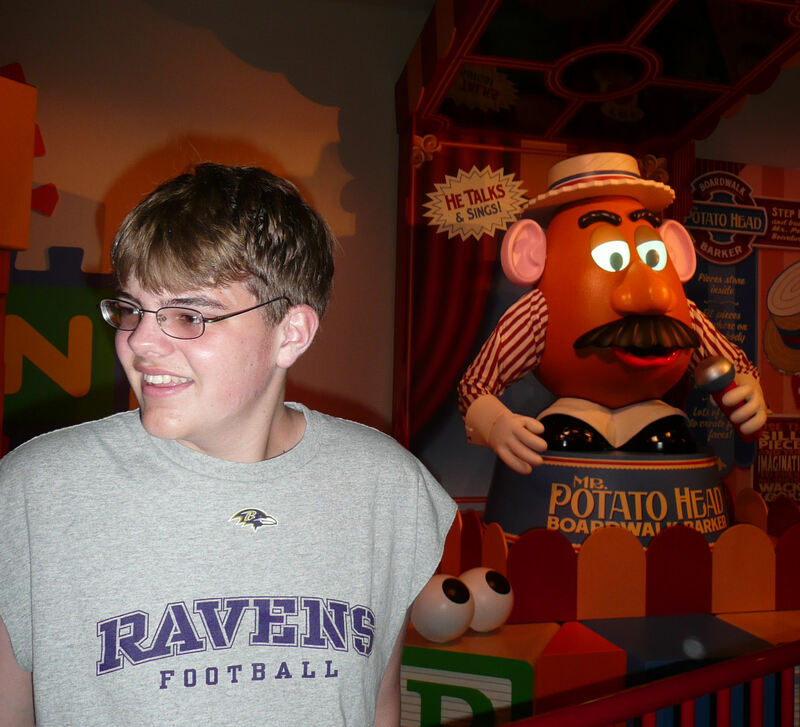 Potato Head (in the background) can take out his own ear and he talks to guests. 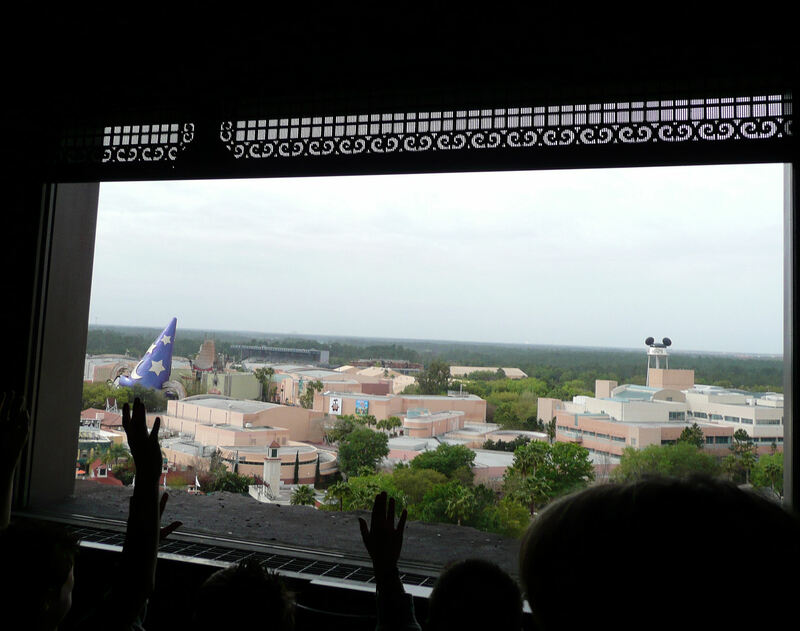 View from Twilight Zone Tower of Terror's drop tower. 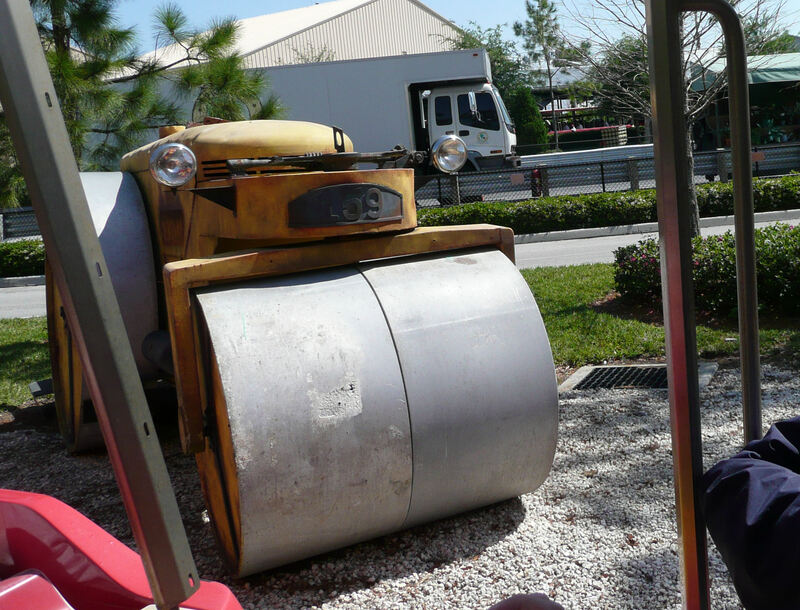 On the backlot tour at Disney's Hollywood Studios, there are many movie props on display; this steamroller is from Who Framed Roger Rabbit? 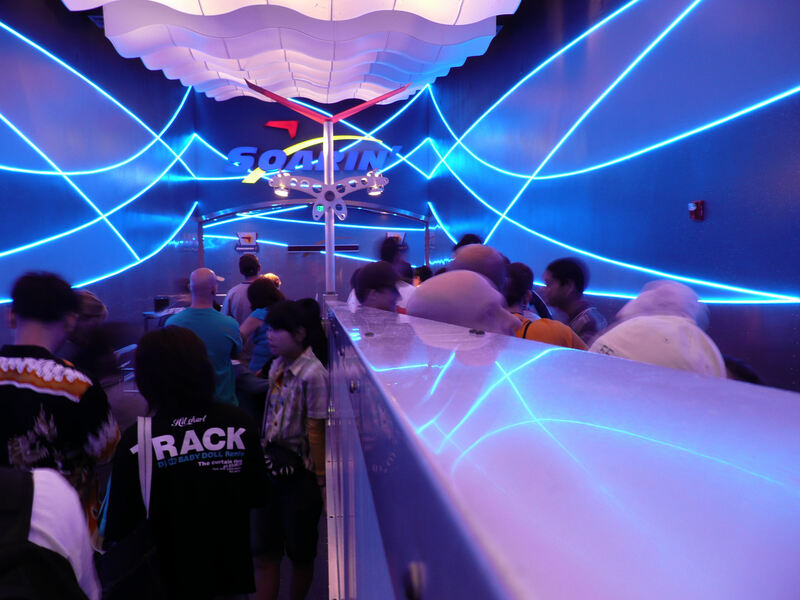 Inside the queue of Soarin' at EPCOT. 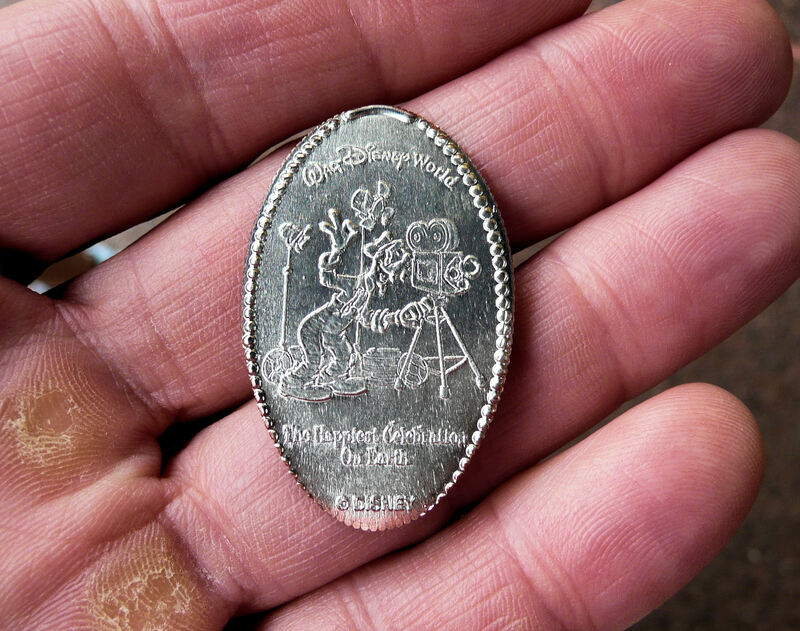 Pressed quarter from Disney World. 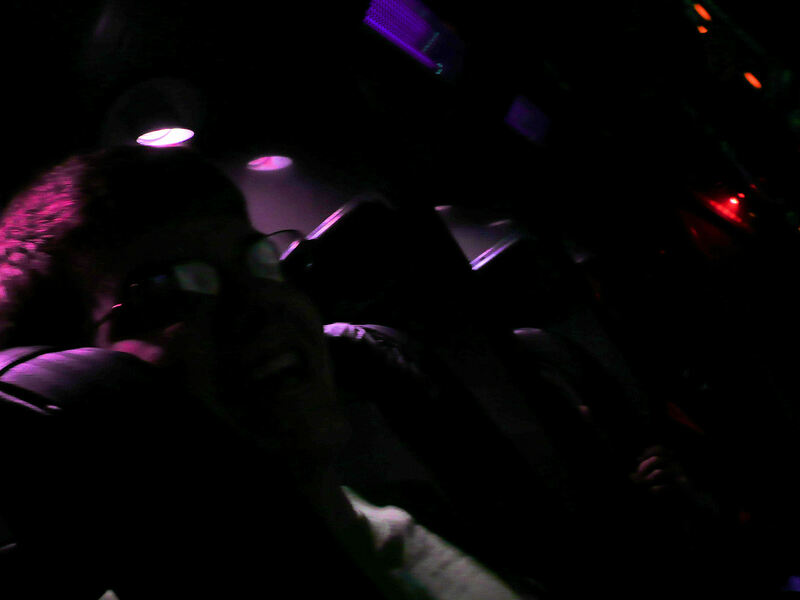 Me on Mission Space at EPCOT. 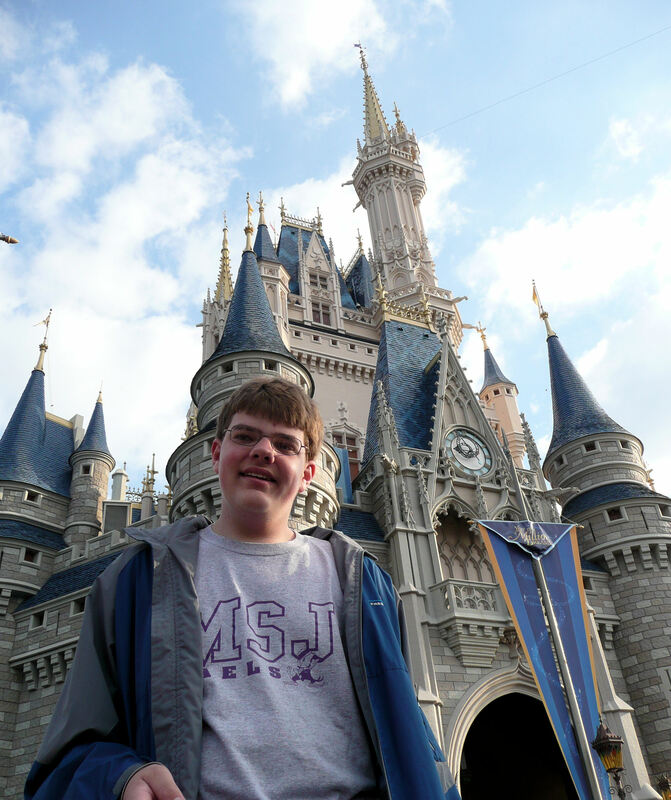 Me by Cinderella Castle at Magic Kingdom, Disney World. 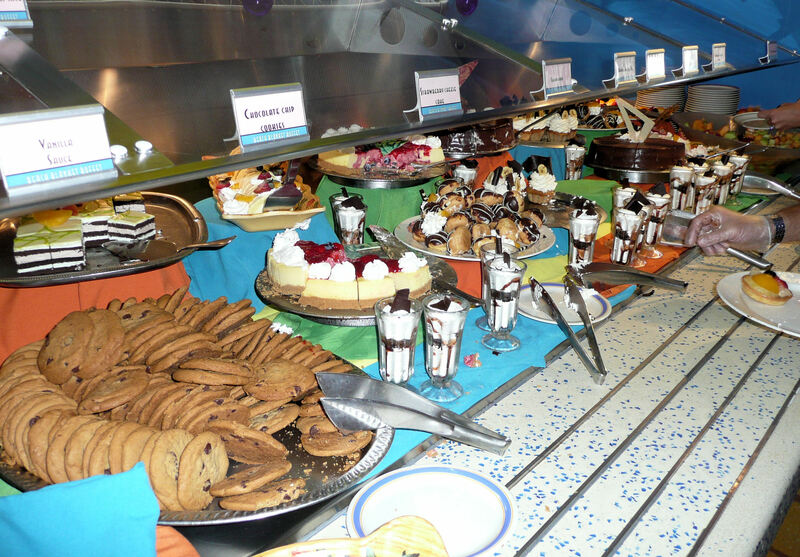 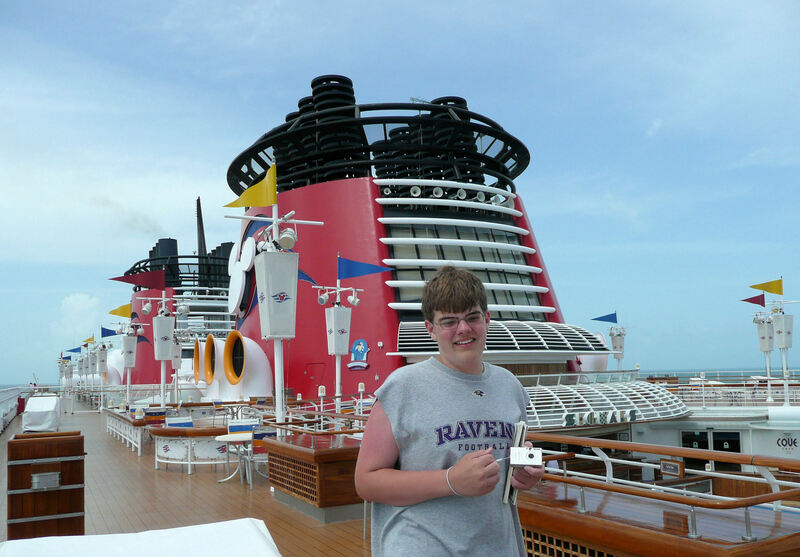 On the top deck enjoying the view on the Disney Cruise Line. 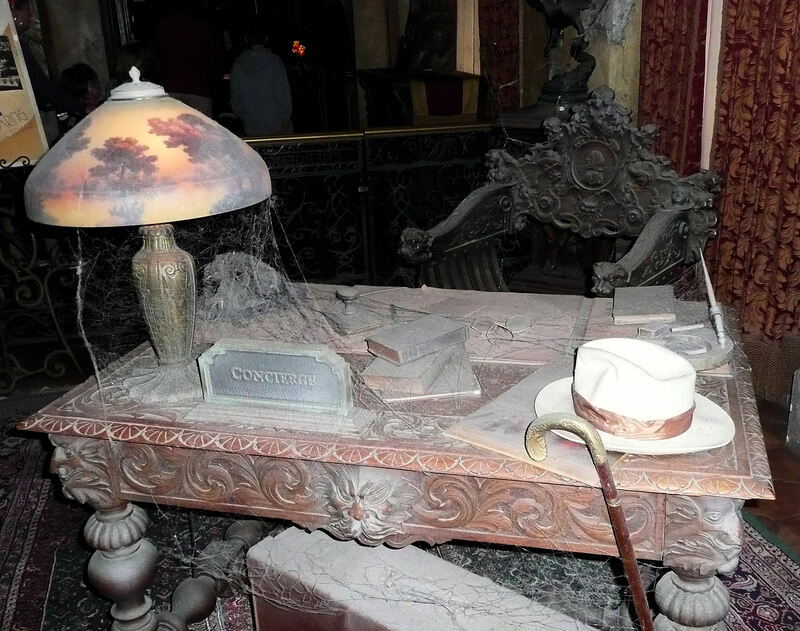 Hidden Mickey in the lobby of the Twilight Zone Tower of Terror; it's to the right of the books in the middle of the desk and is made out of eye glasses. 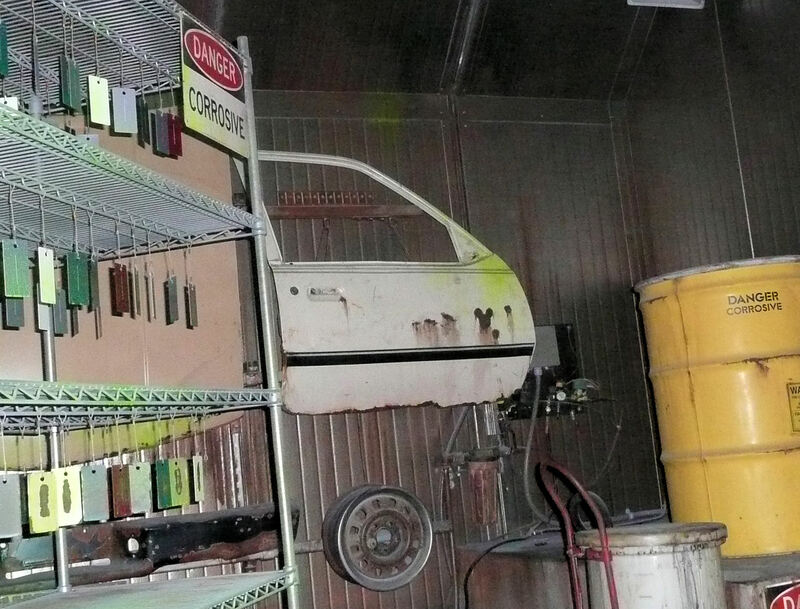 Hidden Mickey on car door at Test Track at EPCOT; this is in the corrosion room. 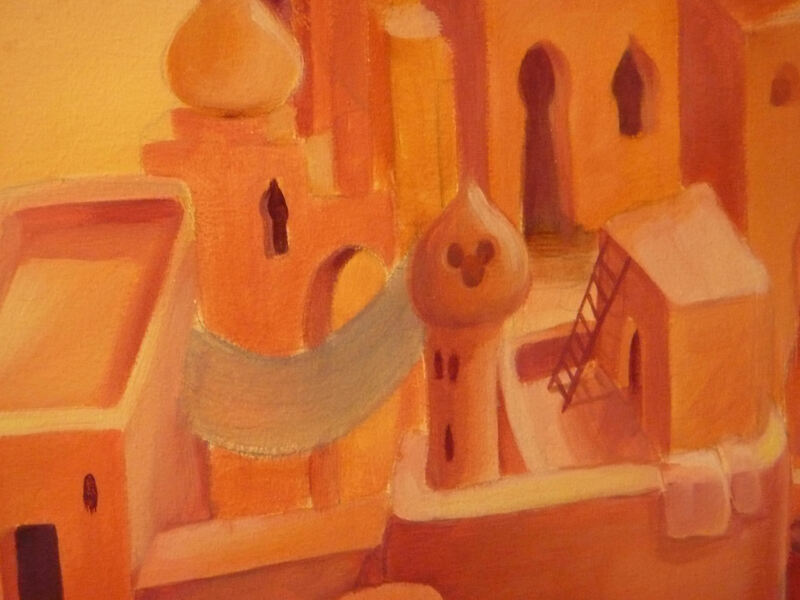 This Hidden Mickey is in a mural in the Morocco pavilion at EPCOT. 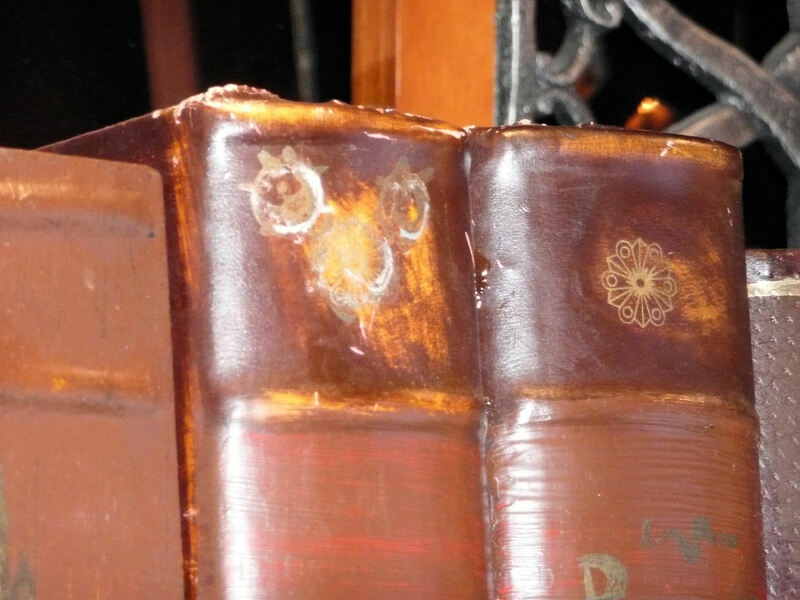 You can find this Hidden Mickey in the shops in the France pavilion at EPCOT. 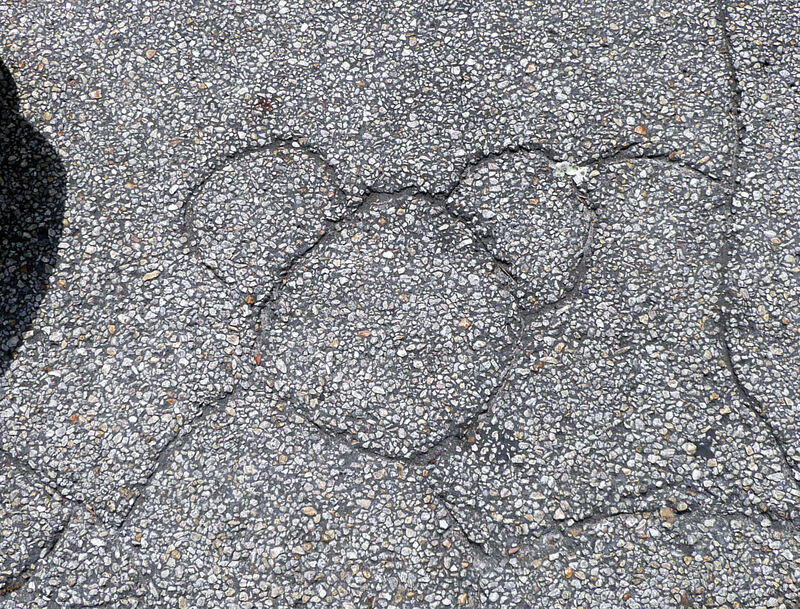 Look on the ground outside Chester and Hester's Dino-Rama at Disney's Animal Kingdom for this Hidden Mickey. 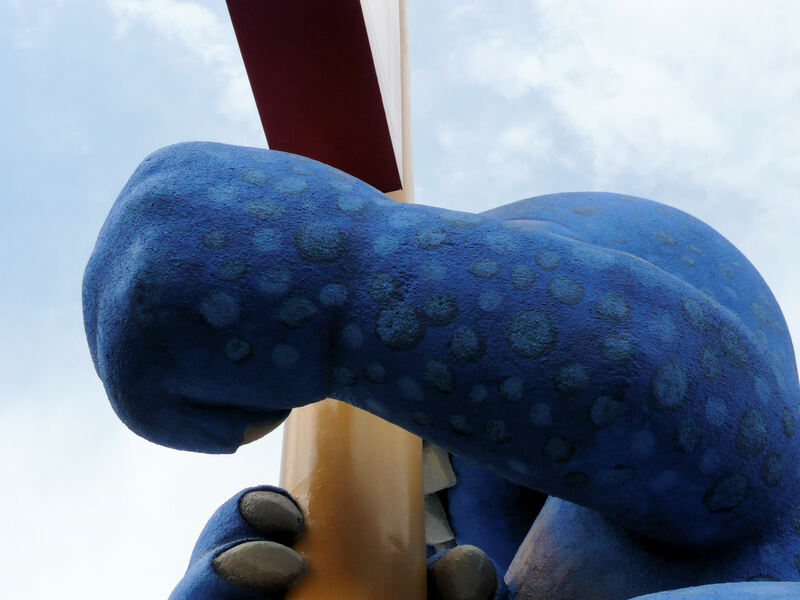 Look up at Chester and Hester's Dino-Rama at Disney's Animal Kingdom for this Hidden Mickey. 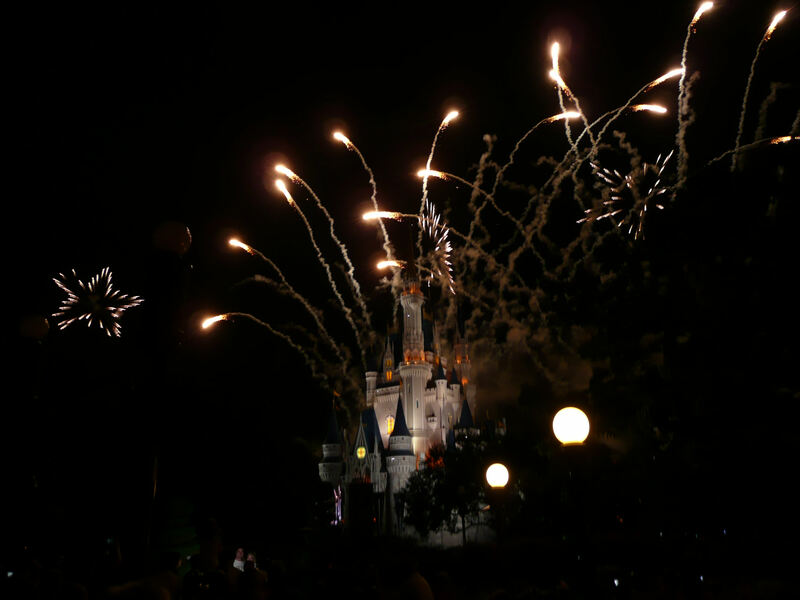 Fireworks over Cinderella's Castle at the Magic Kingdom, Disney World. 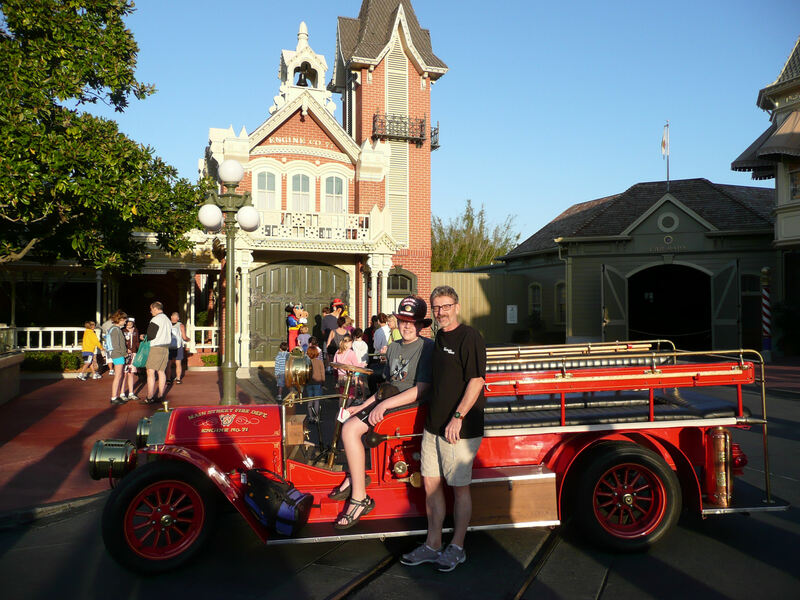 Main Street, USA at Disney World; Dad and I with a fire truck with me wearing a fireman's helmet. 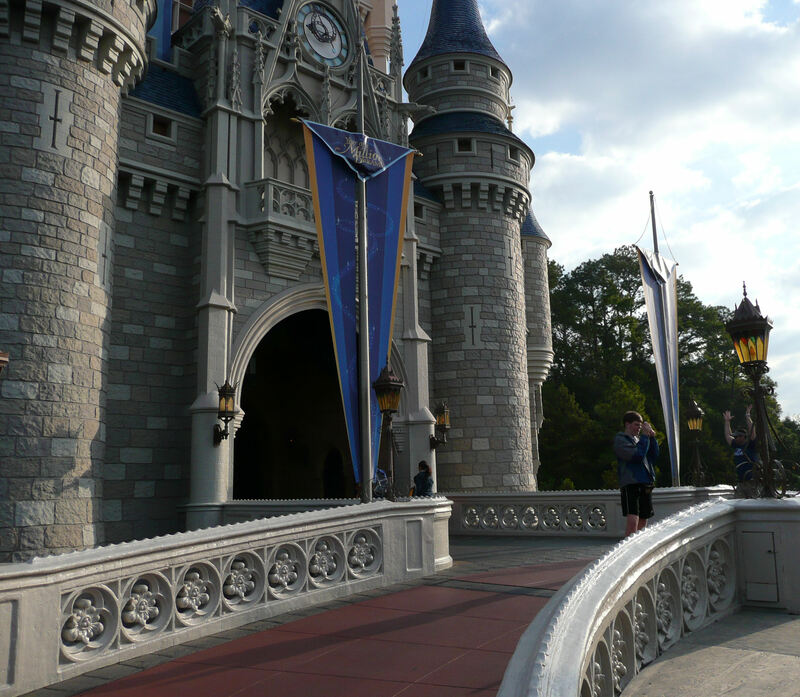 Capturing the magic in front of Cinderella's Castle at Disney World! 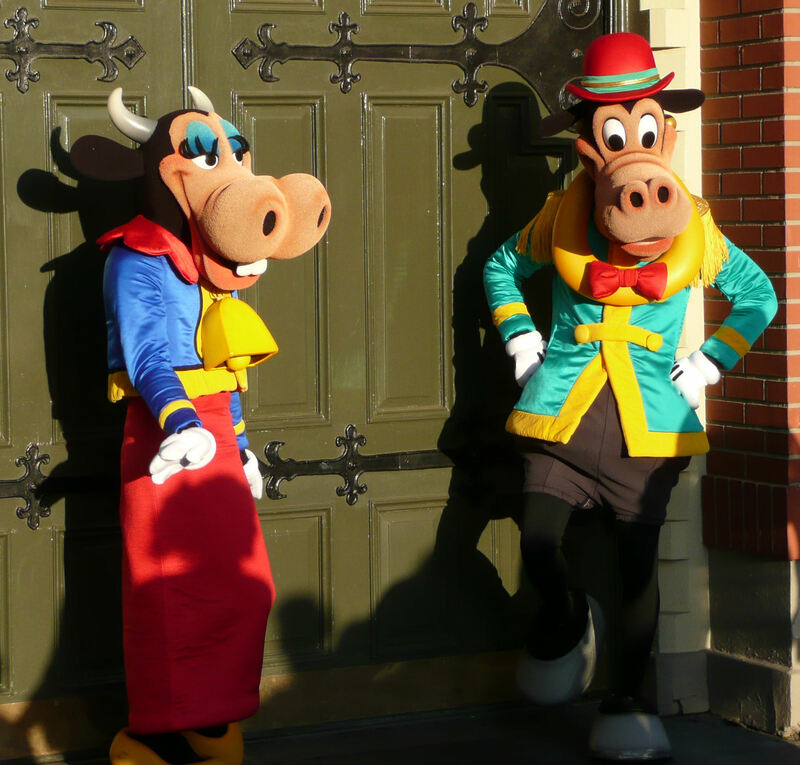 Two rarely seen Disney characters—Clarabelle Cow and Horace Horsecollar—on Main Street, USA, Magic Kingdom, Disney World. 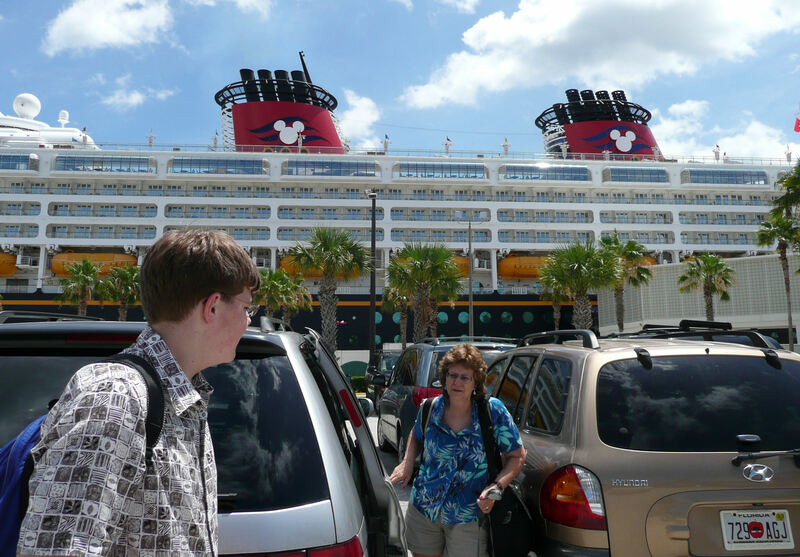 Getting ready to go cruising on the Disney Cruise Line (cruise terminal at Port Canaveral, FL). 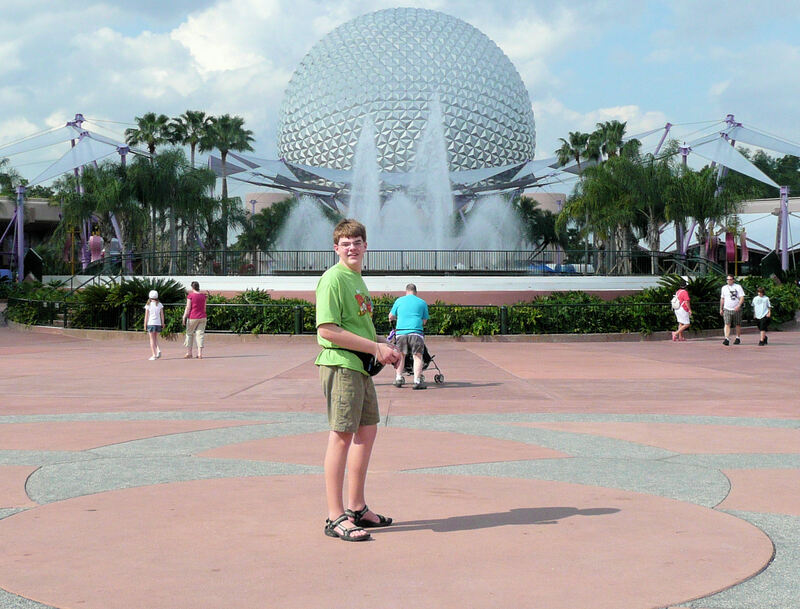 I am standing in the exact center of Disney World; this spot is located in EPCOT. 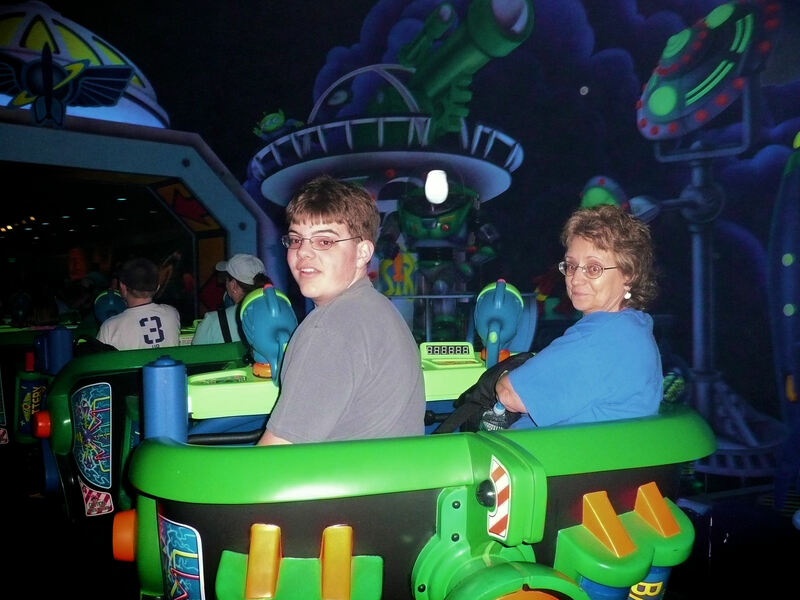 Mom and me on Buzz Lightyear's Space Ranger Spin at Disney World. 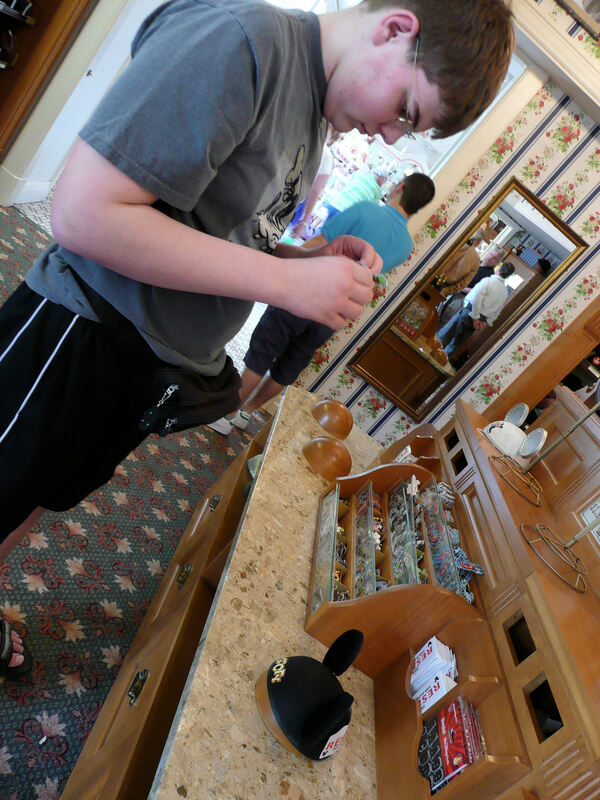 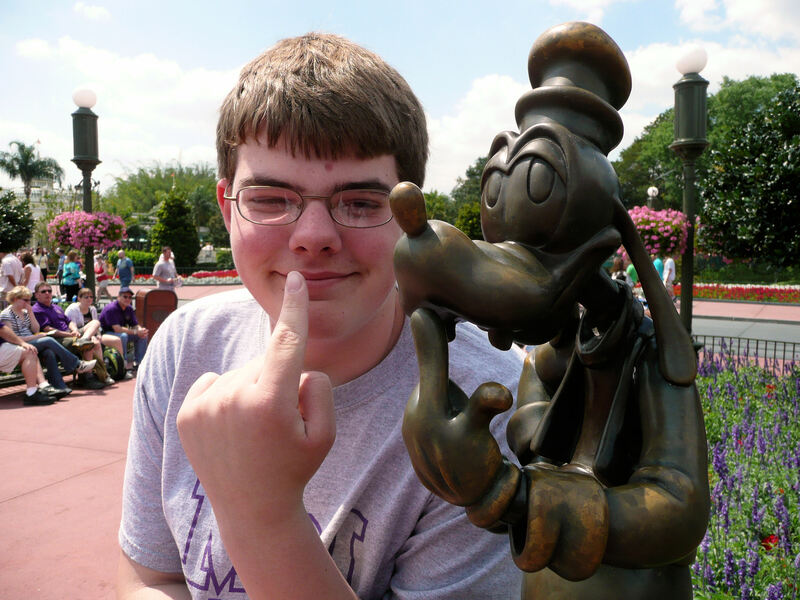 Designing my Mickey ears at the Magic Kingdom, Walt Disney World.